In order to help car buyers understand monthly fluctuations in car prices in the Philippines, Philkotse.com provides updated Hyundai Philippines price list as of April 2019 as follows. 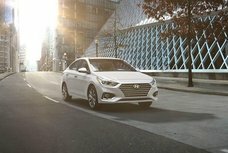 With thousands of Hyundai for sale at the cheapest prices updated daily by certified owners and dealers on Philkotse.com, your next ride may be just a few clicks away. 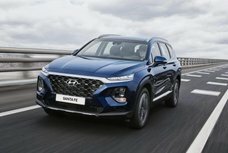 Check out Hyundai Philippines price list this April 2019 on Philkotse.com (with new excise taxes) for all Hyundai models, including the Hyundai Accent, Hyundai Eon, Hyundai Tucson and Hyundai Elantra. Latest special promotions and discounts from all Hyundai dealerships nationwide are also gathered here. 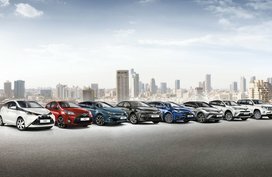 Note that the following car price list and promos from Hyundai are updated regularly, so please bookmark this page to catch up with the latest automotive deals. Hyundai Accent is one of the most popular choices for Pinoy car buyers, particularly those who are looking for a sedan at around ₱700,000. The car has impressed sedan enthusiasts thanks to its bold radiator grille, a creased bonnet, and a curvy headlights. The Hyundai Accent is powered by a 1.4-liter engine capable of 100 PS and 133 Nm of torque along with a 1.6-liter engine churning out 136 PS and from 260-300 Nm of torque. Besides standard interior features such as central door locks, manual air conditioner, trip computer, and portable ashtray, the sedan is also loaded with AM/FM, AUX compatibility, USB port, MP3 and 4 speakers in addition to driver side airbag, ABS, ESP, EBD and keyless entry. With the new excise taxes, the new price for the Hatchback is from P883,000 to P975,000 while the Sedan 2019 price ranges from P695,000 to P930,000. For more options, you can also check out our list of affordable Hyundai Accent available for sale on Philkotse.com. 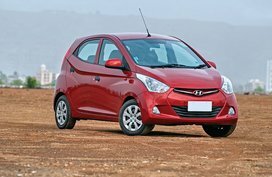 In spite of being a small city hatchback, the Hyundai Eon comes equipped with full design department compared to larger models. The car has a compact body yet boasts a large windscreen and big tail lamps which is the best aspect of its exterior. In terms of the interior, the Hyundai Eon gets a spacious cabin and a package of standard features including a touchscreen system with Bluetooth connectivity and maps. The Hyundai Eon is powered by both 800cc engine and 1.0-liter engines, works in tandem with a 5-speed manual gearbox and is capable of dishing out 55 bhp and 76 Nm of torque and 68 bhp and 94 Nm, respectively. Although they are small engines, they will be tuned for better performance and improved drivability too. All these elements together have helped the Eon remain one of the best-selling model of the Korean car maker. Despite the new excise taxes, the Hyundai Eon 2019 can be yours from P508,000 to P562,000. If you want to have more choices, here we have a full list of best-priced Hyundai Eon cars for sale on our site. 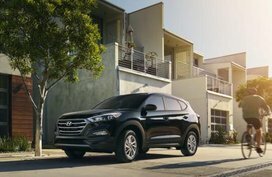 The Hyundai Tucson is an improved SUV with a stylish design yet still lacks a sense of toughness. Being focused on design and fuel consumption, the baby SUV is considered as one of the most fuel economic small SUVs with a sleek styling and a capacious and luxurious interior. “Dynamic”, “efficient” and “powerful” is enough said about the petite Tucson. It could be said with certainty that the Tucson is a true leader in performance as well as fuel efficiency which promises to bring you a stimulating and fun-to-drive experience. In detail, the fuel-efficient Hyundai Tucson has decent consumption of 4.54 – 9.8 km/L at an average speed of 5 and 17 km/h, respectively in the city. On highways, on the other hand, it returns 20.83 km/L at 71 km/h. The car is powered by a 1,995 cc R-Line 4-cylinder 2.0-L CRDI diesel engine which is capable of cranking out 185hp and 402Nm of torque. The Tucson 2019 price gap between the base variant and the ranging-topping variant is P557,000. In details, the base variant stands at P1,163,000 while the top-of-the-line variant, the 2.0 CRDi GLS 4x2 AT, is priced at P1,720,000. 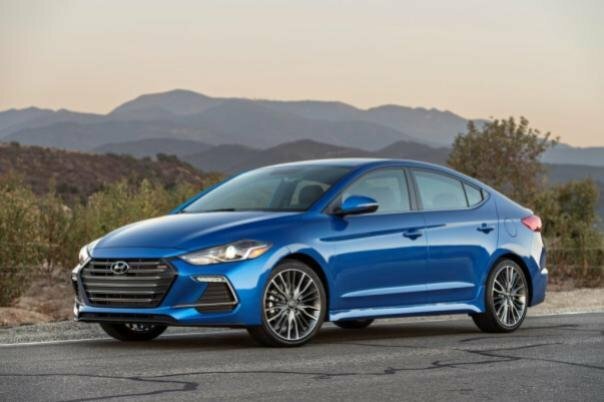 The new Hyundai Elantra boasts the Fluidic 2.0 design language, impressing car lovers with its sophisticated appearance and showing the direction of Hyundai to modernization. The car features a signature hexagonal grille, special fog lamps, shark fin antenna, sleek headlights, sloping roofline, refreshed bumper grants, wrap-around tail lights and a glossy lid spoiler, bringing the sedan a striking look. The Elantra also offers a luxurious and comfortable interior with soft-touch plastics, high-quality materials, neatly placed controls, along with integrated memory seats, supervision gauges, smart trunk system and a modern infotainment system. The Hyundai Elantra is available with 3 types of engines including 1.6L GDi, 2.0L Atkinson and 1.6L eVGT diesel. The engines are capable of dishing out of 132 hp and 161 Nm of torque, 149 hp and 179 Nm of torque and 136 hp and 300 Nm of torque, respectively. Now, the top-spec Elantra is now priced at P1,183,000 while the base variant comes in at P970,000. 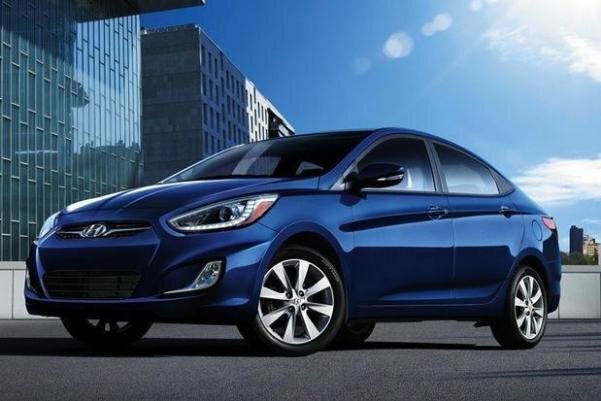 There are more affordable Hyundai Elantra options available in our cars for sale section, depending on particular promos offered by each dealer. Initially, Hyundai was established in 1946 as a construction and engineering company. In 1967, it officially incorporated car production, arousing Korea's momentum in the international auto industry besides Kia Motors. Hyundai Motor Company (HMC) soon realized that its next mission was to reach out to the global markets, and it really started to blossom in the 70s, 80s, and 90s. Since then, Hyundai has always maintained its position as a reputed, qualified and outstanding brand in the global automotive industry. In 2001, Hyundai Asia Resources, Inc. (HARI) officially became the distributor of Hyundai cars in the country. 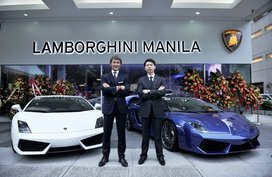 With a young and energetic personnel and an extensive network of its facility - more than 40 Hyundai dealerships in the Philippines, the company has earned its position as the 3rd biggest automaker in our country and has received high appreciation from the Philippine government, HMC, private agencies as well as consumers for having the best practices in corporate governance. 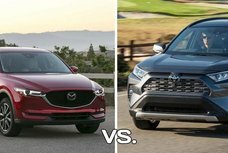 Comprehensive reviews of these models and other Hyundai vehicles can be found in our Hyundai review section.